Currently 744 visitors online at SuggestADoctor.com. I've been a patient of Dr. Lyerly's for a couple of years now. She has been working with me to find the right solution to health issues. She has always been professional, yet down-to-earth and caring. She listens and honestly cares about helping you. She's performed 2 surgeries on me and I felt confident and safe in her hands. I'm sad to say she is leaving this area, but am grateful she was here during this hard time in my life. Her new patients don't know (yet) how lucky they will be having this amazing doctor in their life! Thank you Dr. Lyerly! I'm eternally grateful for everything! Good luck in your new job! Is this Review about Kristin LYERLY helpful to you? Dr Philip is easy to talk to and does a great job of considering the whole picture when looking at women health issues. She has been particularly great with helping handling post surgery issues. Is this Review about Lori Renee PHILIP helpful to you? Dr. L. Nimmagodda is an excellent Doctor - My children were under his care for two years with exceptional results. Is this Review about Lokanadha B NIMMAGADDA helpful to you? Always a great experience at Summit Medical, staff could not be friendlier and also very efficient. . I have never experienced an extended wait time . Is this Review about John DALENA helpful to you? He was my Dr when I was pregnant with my son back iin 2009. He also was my sister's doctor. She is who recommended him to me. Very kind, very patient, I felt he genuinely cared about me not as just another patient but as a person with very real problems. I've suggested him tons of times and will continue to do so. Is this Review about Robert Michael HOWELL helpful to you? Dr. Lauer was my Dr when I was pregnant with my son back on 2009. He was very relaxed, didn't make me feel rushed and listened to every concern I had and explained his concerns to me. Very supportive. I was devastated when my son's father had me switch Drs because he didn't like driving that far. I'm about to be back on insurance and he will be the one I go back to. He's amazing. I cannot wait for him to be my DR again. Is this Review about Scott D LAUER helpful to you? Very knowledgable, experienced Doctor. Patient, kind and empathetic. A plus score from me for total Hysterectomy, DaVinci assisted. Is this Review about David IGLESIAS helpful to you? Dr. Krueger's determination to help me is second to none. The detection of my crohns will save my life. The doctors staff are incredible. The persistants of Nora to get my insurance corrected was up and beyond , anyone's duty. Dana has always been great with scheduling me for my convince. Thank you to all. Great Job. 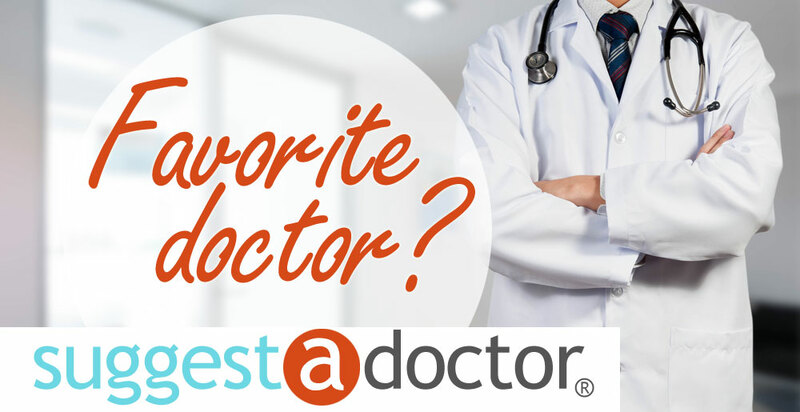 I have always been very satisfied with and confident with anything dr Dalena recommends for me. I feel just exceptionally comfortable with his recommendations. My health has improved with his treatments. Dr. Sprott has been phenomenal in treating me. He tried a couple non-invasive approaches first to treating my problems and was very caring and compassionate. He was absolutely wonderful before, during and now after my hysterectomy. I absolutely will not be using another doctor. Is this Review about Maxie C. SPROTT helpful to you? I am very impressed and appreciate the care given by Dr. Tse. He takes time to explain to me my kidney problem and the treatment plan. Thank you very much for taking good care of me, Dr. Tse. Is this Review about Kalok Edmund TSE helpful to you? The staff and doctors here are incredible, from the registration to the nurses to the doctors. Everyone is friendly, patient, thoughtful, they listen, have a sense of humor, and are excellent at what they do. I adore Dr. Dalena--patient, intelligent, warm, thoughtful, sophisticated, funny, and so kind. Was admitted to mmh for gi bleeding- Dr. Krueger was attending to my needs was very understanding and did an excellent job of solving my bleeding problems. I will highly recommended her and this office to all friends. Thank you Dr. Kruger. The front desk receptions are professional, kind and truly welcoming. By the second visit, they'd remembered my name. It seems like such a small thing but it means a lot when you are entrusting the doctor with your health. Is this Review about Kevin LI helpful to you? Dr. Arcara performed my hysterectomy in June of 2014. This Dr has the most genuine caring bedside manner. I never feel rushed when I see her and I always feel like when she is in the room with me like I am the only patient on her mind. Is this Review about Victoria ARCARA helpful to you? Dr Kelly krueger was extremely compassionate, caring and knowledgeable. She discovered the reason for my long time diarrhea. She has a very calming voice which is so comforting. The entire staffing is so helpful and pleasant. The atmosphere and office condition are welcoming. I highly recommend Dr. Mulholland because he is an excellent doctor and has a great bedside manner. Very caring and answers all your questions even with a sense of humor. Love this doctor. Is this Review about Mark Edward MULHOLLAND helpful to you?